Then it dawns on me. Of course! 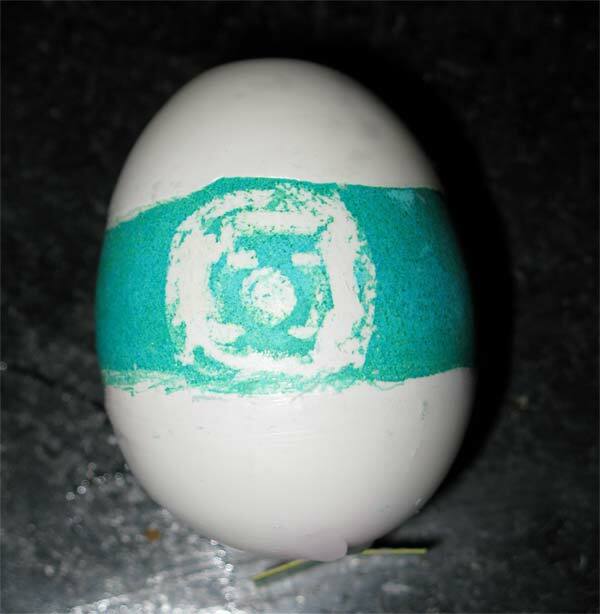 I'll do a comic-themed egg. And what comic book character looks most like an egg? My family isn't going to know what the heck that thing is when they open up the egg carton. And I'm going to feel bad eating it, too. I'd also feel squeamish about eating a little alien Green Lantern. You'll have to let someone else eat that egg. As for your family not understanding something you did, I'm going out on a limb and guessing that you're kinda' used to that by now. I hope that no said "Leggo my Egg-o!" "As for your family not understanding something you did, I'm going out on a limb and guessing that you're kinda' used to that by now." Bwa-ha. Pretty much! No one had the opportunity to say "Leggo my Egg-o!" because we all completely forgot about the eggs and they're still in the fridge. Though tomorrow I'm sure I'll get questions more along the lines of "Why is there wax all over this egg?!" rather than, "What the hell is this?!" Either way, I'll be amused.